NASA UTM Study in Downtown Corpus Christi » UAV DACH e.V. 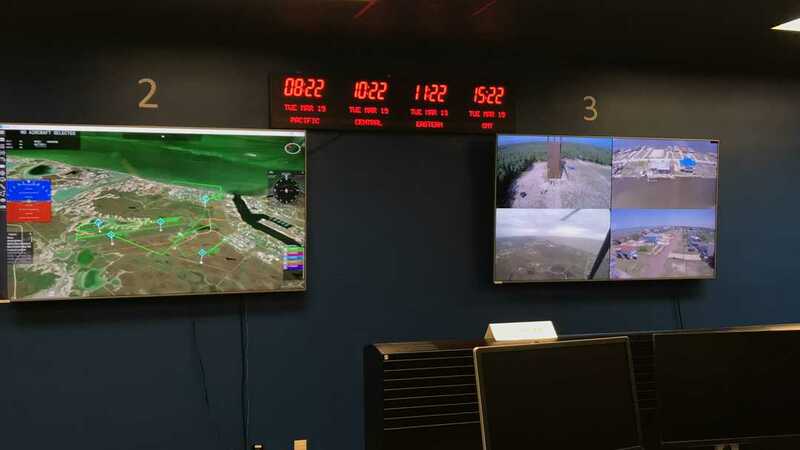 Officials from NASA’s Unmanned Aircraft Systems Traffic Management project selected Corpus Christi as one of two nationwide test sites. “This area has a diverse geographic landscape. We are looking at the downtown areas of Corpus Christi,” said Dr. Marcus Johnson, NASA Deputy Project Manager. The project’s goal is to collect information on challenges of flying where communications, GPS, tall buildings and community acceptance are factors. NASA’s ultimate goal is to boost technological and economic growth that comes from the rapid popularity of drone use. That’s not the only thing that will reap the benefits of unmanned aircraft. “We entered into an interlocal agreement with Nueces County to help police and fire in search and rescue, and recovery with the drones after a disaster,” said Michael Sanders, acting executive director of the Lone Star UAS Center. Some students are building air frames, helping with integration of software and spreading the project’s importance to the community, Sanders said. UAV DACH: Beitrag im Original auf https://www.uasvision.com/2019/03/25/nasa-utm-study-in-downtown-corpus-christi/, mit freundlicher Genehmigung von UAS Vision automatisch importiert. Der Beitrag gibt nicht unbedingt die Meinung oder Position des UAV DACH e.V. wieder. Das Original ist in englischer Sprache.